You've put time and energy into planning your event...now give your guests their first glimpse of the celebration to come with custom stationery from La Belle Fête! All of our invitations are designed from scratch, hand-assembled, and completely customizable to suit your unique needs. 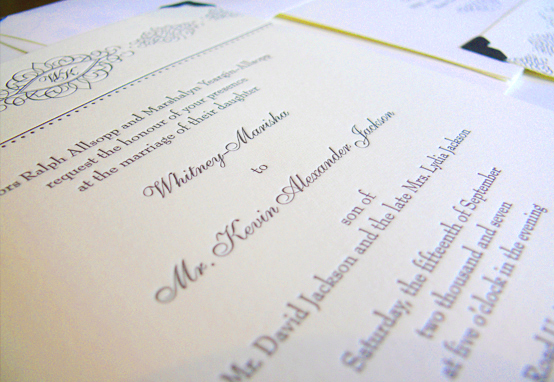 Let us take the stress out of the invitation process by offering our years of experience in the stationery business, including assistance with wording and etiquette advice. We are happy to work with you one-on-one in our local office, or via online proofs from the comfort of your home.